Passport photos online, download your photo on the proper size! 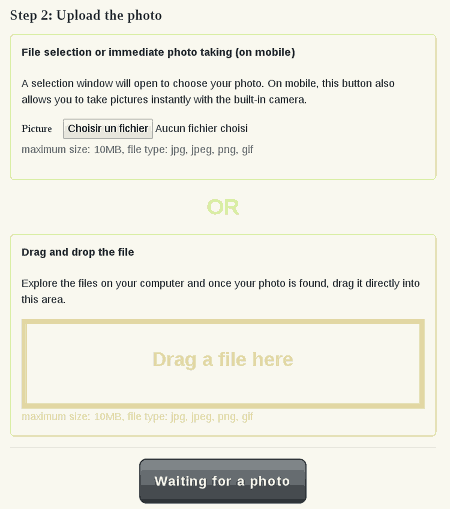 Build and download your photos ID online, without software, on proper format. Fully free. 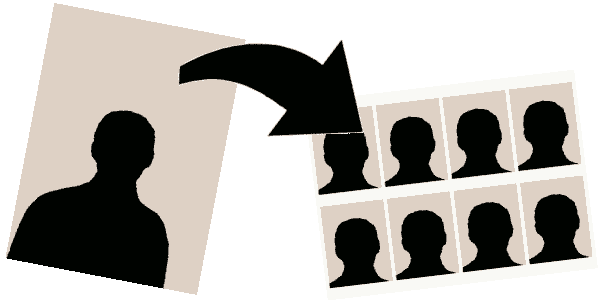 Select format of the photo ID, size of the board of passport photos, according standard you want. Upload on the site a photo of you, result from the camera of your smartphone, webcam, camera or a scanning of a paper photo. Choose a light background, a front face and expression neutral. Crop, always online, without software, your photo. 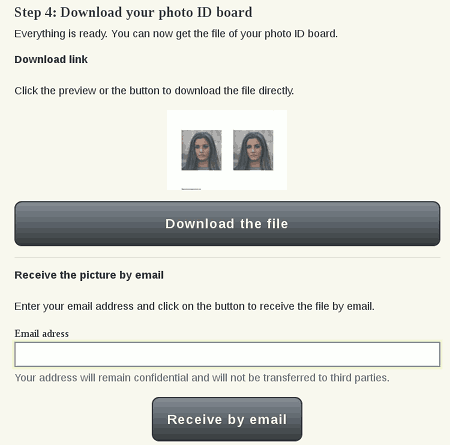 Download the file directly or receive by e-mail your board of passport photos in the correct size. Develop your board of photo ID with your printer, photo kiosk in any store, or via website development photo. It's very economical! It's easy and free and without registration! Creating an identity photo yourself is very simple and free. 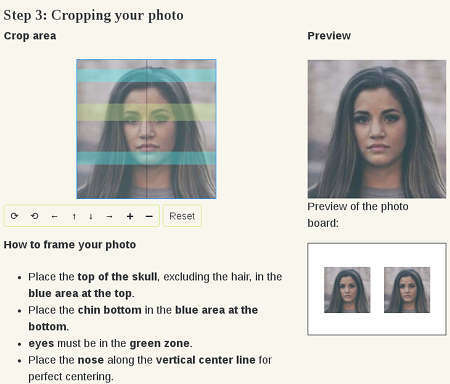 Here is an overview of the steps to make your passport photos. Passport photos online, download on the proper size your photos! Build and download your photos ID online, without software, on proper format. Fully free.